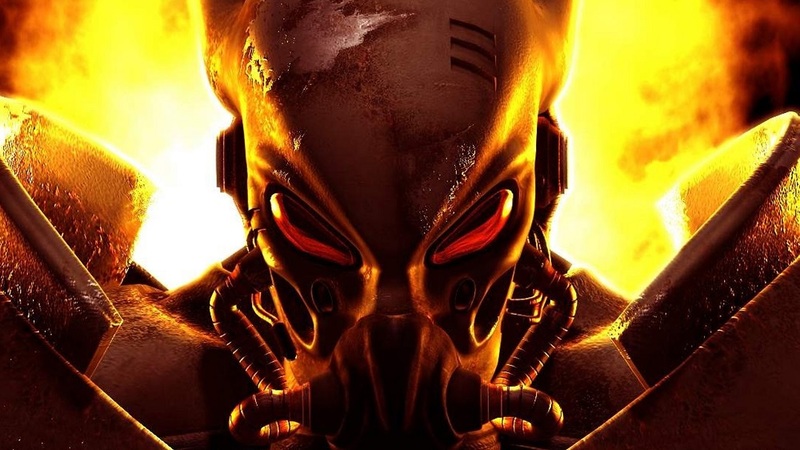 Home Nostalgia Gaming	Have You Played…Fallout Tactics? Fallout 1 and 2 definitely still belong to the top games I have ever played and enjoyed, so, naturally, I enjoyed the somewhat different game called Fallout Tactics as well. However, back at 2001, when Fallout tactics was developed by Micro Forte and published by 14 Degrees East, the fans weren’t exactly too happy. They were hoping for a Fallout 3 – and they will keep waiting for the game for another seven years without seeing it being built by the original crew – and were not thrilled by a game that was so obviously not the RPG they were hoping for. Unlike Fallout 1 and 2, Fallout tactics gameplay focuses on team fights, the tactical engagement and proper positioning for a deeper tactical combat. You are a new member of Brotherhood of Steel, a noble organization of post-apocalyptic knights with the goal to preserve both the humanity as well as many of its achievements as it can possibly salvage from the radioactive wastelands. In their path are many foes, raider gangs, savages, ghouls, super mutants, robots (to only name a few of them) and not only that your skills, weapons and equipment will be taxed to the maximum, you will have to find and secure assistance of many potential allies on your quest, each stranger and less likely than the other. Soon you will find yourself in uncharted territory, a place that not even the Elders of the Brotherhood of Steel could predict, and the true war begins. Where in Fallout a player had a full freedom to explore the world how he/she wanted, behave in any way possible (a huge part of the players has burned through the game as a true villain, breaking all the standard RPG rules that are usually there) and simply give up on his main quest if he wanted to do so in Fallout 2, the rules in the Fallout Tactics were far more strict. Essentially, a player advances with a 6 man squad from a mission to a mission, completing main objectives and gathering ever so slightly better gear and weaponry in order to survive the next encounter that is around the corner. Missions mostly have straightforward objectives, kill this guy, save that girl, get me ten rat tails etc. Secondary objections such as “save particular group of X” so they might join your ragtag group of world saviors. The action is segmented into missions, of which there are approximately 5 per Bunker (base of operations). Once you clear out all the missions for, say, Bunker Alpha, you move on to Bunker Beta, where you will receive the next five missions. These also have a specific order in which they need to be fulfilled and you can’t wiggle your way out of it. Generally, you can say that difficulty of each mission scales fairly well, so you will always find yourself challenged by what the next mission will have to throw at you. However, if you should make some bad moves and forget to take advantage of every mission that is being offered, you might find yourself outgunned and out manned. Make sure this doesn’t happen! The lack of freedom is not necessarily something that I will ever complain about in this game; its design and goal is entirely different from the Fallout 1 & 2. Apples and oranges, people. However, at that time the fans were very disappointed that the game did not live up to their expectations of freedom of action that the previous Fallout titles set up. Funny, though – the original Fallout 3, code named “Van Buren”, was cancelled, and the final Fallout 3 game, as made by Bethesda, had even less with the original, isometric, turn-based combat system and extreme freedom of exploration and action. Retrospectively, Fallout Tactics was just about perfect game extension of the Fallout universe. These days, when I play Wasteland 2, I recognize the game as a new Fallout Tactics, not new Fallout game, and I enjoy them just as much. Is it still worth playing? My final thoughts? Easy enough: Fallout Tactics is one of the best tactical squad games I ever had the pleasure to play, and a huge part of its success is due to the post-apocalyptic Fallout setting. I definitely recommend you to pick it up and try it out yourself!